I discovered this website quite recently & decided to register! Done on September 15th, 2018! It is good to find people as much fond to visit Unesco World heritage sites as I'm, stating experiences & learning for their experiences! During several years I visited those sites without being aware of their affiliation to this great list! I'm now focusing my (many!) travels on visiting the WHS! Recently I travelled to Australia, Indonesia, Malaysia, Singapore & India, adding 20 new WHS to my list which is reaching 639! am also starting to pay more attention to sites on the TL out of which I visited nearly 250 ones! I really enjoy when reaching a WHS, often after a long & complex trip! To discover in real what I have known only by reading or watching pictures is a great satisfaction! 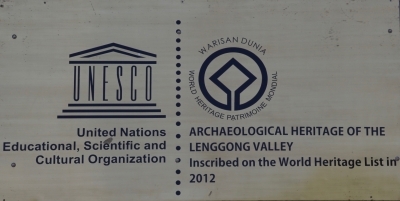 I am feeling "mission done " when I look at the UNESCO plaque & am fond to take pictures of the official UNESCO sign; I am also as much disappointed when either I miss the sign or when there is none.. It happens not rarely & the responsible authorities for those sites should pay more attention to enhance this mark of honor! I also have a great interest in vexillology (the historic research on civil flags)! My two next trips during the last quarter of 2018 will allow me to see a new WHS in Germany (Hereby & Danevirke) & to travel through Spain to add two more ones (Antequera & Medina Azahara) , then to Gibraltar (the unique site in this UK Territory, Gotham Caves) & ending by few days in Morocco to visit the 2 sites I missed in this country (Médina de Tétouan & Ksar d'Aït Ben Haddou).